Week... something. It is a week happening during the genealogy Do-Over in which I'm doing Genealogy Do-Over things a bit behind the weekly schedule. At my own turtle pace. Not a turtle who has seen food though - just a regular, ambling turtle. I have always kept person-centric notes about the research in which I found something interesting - but I have never tracked what I didn't find. Or where I searched that I didn't find anything. While I don't know of any issues that this definitely caused, thinking about it, I can see how likely it was that I was re-searching for evidence that wasn't there. I was also, most likely missing vital clues about an individual resulting from the absence of of a record in a particular place. For instance, this evening, I ran through my checklist and searched each census in which my grandfather would have appeared. I noticed that while he shows up on the census with his parents when he was 4 years old, and I can find a census for his parents and his younger sibling ten years later - he isn't on it. This is the first time I've noticed that. Most likely because I was simply looking for his name and when I couldn't find it on a census, probably put it off for another day, assuming I just needed to look harder or differently. When I wrote down that I found him on the 1920 census and could not check off the 1930 census, this caused me to look for his parents, which I found - and realized the clue that had been staring me in the face the whole time. Kind of dovetailing the ability to track the negatives, when I view my individual in Legacy Family Tree, I see all of the data I do have about the individual. If I drill in, I can see the sources for that information. I can even set up a to-do list, if I so choose, for that individual. But I don't see, unless I add them individually to that to-do list, a list of sources I haven't searched yet - or possible sources. And with each possible research point comes individual notes like "would have been 14 - does not show up on his father's census" that do not appear in Legacy Family Tree. With a Source-Centric View, I also am reminded to search locations I haven't yet searched. If I have a relative who lived in a particular year, there is a set of places I need to search for them, based upon where they lived. For me, it's tough remembering all the possible sources of information available for 1922, for instance. So, having a checklist reminds me to look for things I might not have searched for or forgotten to search for. I do not regularly subscribe to pay per month sites. My genealogy work, in the past, has ebbed and flowed. I might find that I go a month without searching for anything and then I feel like I wasted the $60 on various sites that month. So, I usually stick to the free sites and then once in a while, join a pay site and run all of the searches I'd wanted to run. In the past, it hasn't been easy to save up my searches in a way that makes them easy to find. The research checklist has made that more possible. In deciding what to use for my genealogy checklist, I tried the Legacy Family Tree to-do list, Google sheets and Gensmarts. Legacy Family Tree has a really great feature set - but a genealogy checklist is not on that list. There is extensive to-do list functionality per individual in Legacy - but you create the list from scratch each time. You cannot create a template list or start from a basic list of your own creation. It didn't work for me. Gensmarts is neat. It reads your family tree file from whatever software you use and then suggests places to search for each individual. It wasn't super intuitive though and didn't suggest anything I wouldn't have already thought of. I'm not sure it's worth paying for, really. Google sheets wound up being the hot ticket for me. Here is my template. I have a checklist template tab that I simply 'duplicate' for each individual I'm researching. You can see I created a copy for 'Jane Doe'. I like this approach too because as I discover really amazing new sources, I can add them here in a way that makes it easy to decide what to search for and where. One of my strategies for missing or incomplete information is to create placeholder events. Along with an estimated date or date range, my event descriptions tend to summarize the current status for census, naturalization and immigration events. These flag that a record should exist. More complete explanations are in my notes. 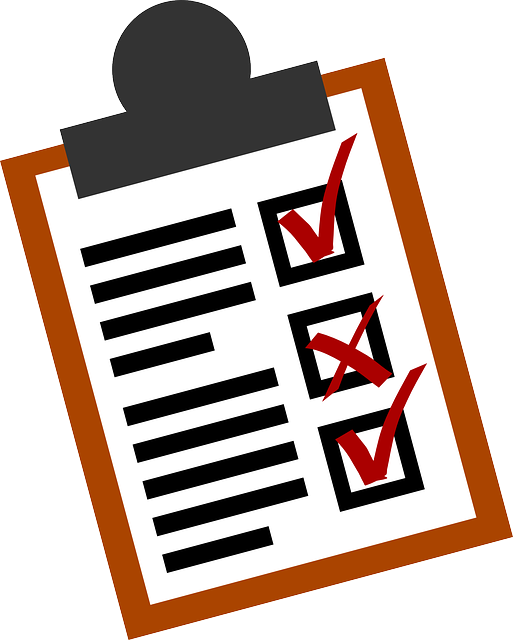 While checklists may be a great reminder of broad categories, each individual will be different, both in life experiences and location- and date- specific records. Some people will have multiple records for the same category of event (marriages, port arrivals). Some places will have records that others didn't collect (state censuses). Missing from your template are a few categories that you might consider adding: occupation, medical, education.